Watching a big game at home may be ruined by unwanted visitors or TVs so small that you have to keep your own score card to know the score. 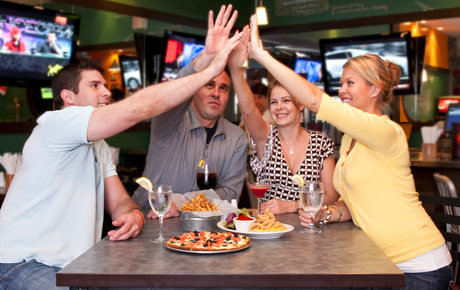 Cheer on your favorite teams and use this deal for 50% off food and drinks from The Cardinal's Nest in Sun Prairie, Wis. ($20 value). In business for two years, this flourishing sports bar provides a fun-filled atmosphere with an appetizing menu to satisfy your cravings. The Cardinal's Nest is a family-friendly sports bar with a varied menu. Take a bite into Wisconsin's specialty with deep-fried cheese curds, or try the deep-fried green beans served with cucumber wasabi sauce. Delight your appetite with house favorite The Torino: a shredded beef and ham hoagie pressed panini-style. Satisfy your fishy side with a shrimp basket, or stop by at the end of the week for their Friday night fish fry.